The jewels are from G. Collins & Sons, a family run company that has a Royal warrant of appointment from Her Majesty the Queen. 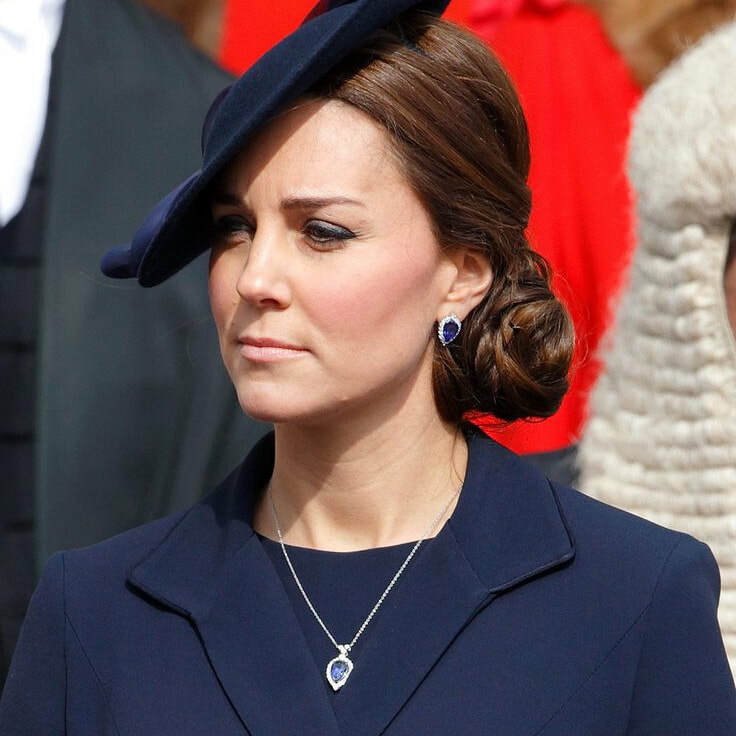 The necklace features an inverted pear-shaped 6.3 carat tanzanite pendant, surrounded by .87 carat of diamonds, set in platinum. 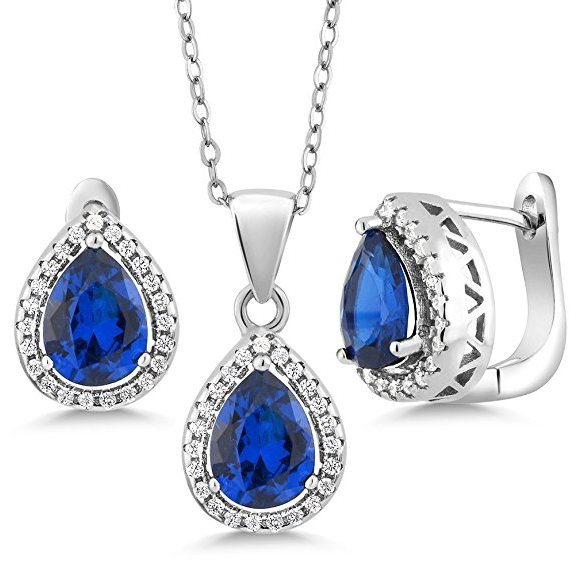 It retails for a staggering £8,400 which reflects the rarity of the tanzanite stone. 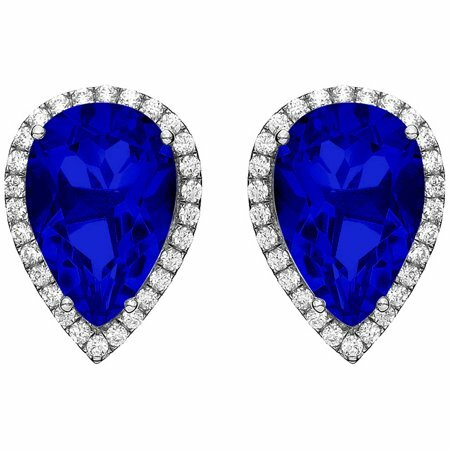 Kate also wore the matching earrings. It is not known if these were a gift to the Duchess or on loan.